Do you like potatoes and want to grow your own at home? This can be done in many ways if you have an existing garden or the proper containers. Container gardening may be the best option if you lack the space for a garden. The best thing is you can easily grow 25 pounds of sweet potatoes in one bucket. The key to being able to grow 25 pounds of sweet potatoes in one bucket is using the right bucket. You should have a 20-gallon bucket as you will need to plant at least six potatoes. A 5-gallon bucket can be used, but you will not have the same yield. 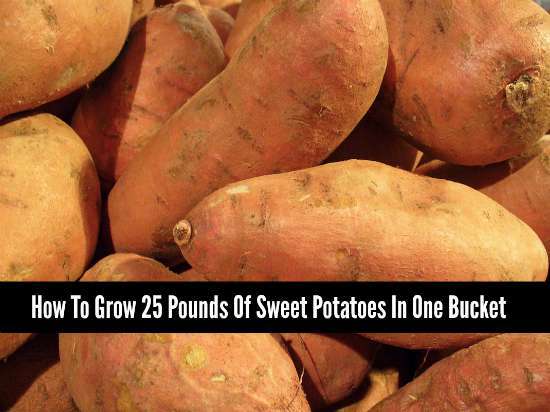 You can use store bought sweet potatoes to grow 25 pounds of sweet potatoes in one bucket. The main thing that will be crucial is having potatoes that are capable of sprouting. Organic potatoes are the best option as they are not treated with any chemicals.